On July 28, 2017, the USC School of Cinematic Arts (SCA) announced Danny Bilson as the new Chair of the Interactive Media & Games Division (IMGD). A multi-hyphenate whose career spans film, television, and interactive, Bilson joined SCA in 2005 and has taught classes ranging from advanced game development to character development and storytelling for games. 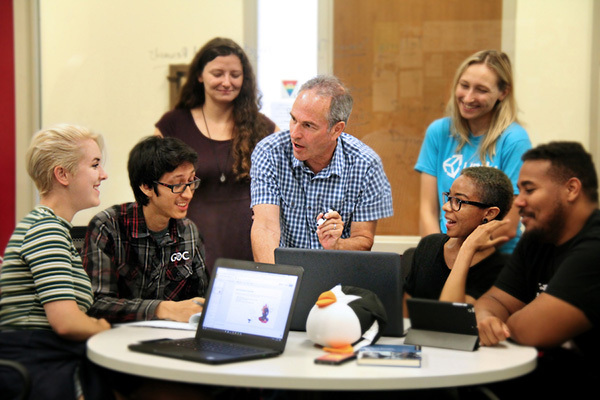 He also heads the Advanced Game Project (AGP), the Division’s year-long flagship class in which graduate students create a completed game, which he will continue to oversee while guiding the vision and overall growth of the Division as Chair. Former Division Chair Tracy Fullerton will remain the Electronic Arts Chair in Interactive Entertainment and Director of USC Games, IMGD’s joint program with USC Viterbi School of Engineering’s Department of Computer Science. In the fifteen years since its establishment within the School of Cinematic Arts, IMGD has firmly established itself among the nations most elite programs for studying and creating games and interactive media. The Princeton Review has named USC the top game design program nearly every year since 2009, and Forbes named four IMGD graduates (and another from the Viterbi School of Engineering) on its 2017 list of 30 Under 30 in Games. Additionally, IMGD students took home the BAFTA Ones To Watch Award in back-to-back years with Chambara and Sundown, both created in AGP under Bilson’s mentorship in AGP. Chambara is also the first title released under USC Games Publishing, the first publishing label of its kind by a major university. As the new chair responsible for overseeing the Division’s curriculum, faculty, and program initiatives, Bilson will look to build upon this success and expand the division’s brand as a leader in game design. Bilson’s versatile portfolio of achievements perfectly embodies the School’s dedication to promoting an interdisciplinary approach to the cinematic arts. Before entering the world of interactive, Bilson enjoyed a successful career in film and television as the writer behind films like Trancers and The Rocketeer and creator of hit shows like The Flash and The Sentinal, directing episodes of both. 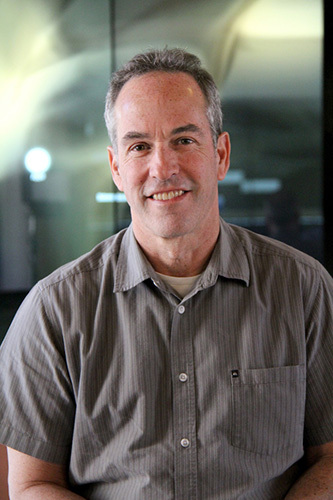 His extensive credits working with Warner Brothers, Paramount, and Disney revealed a knack for the kind of active storytelling that would come to serve him well as the senior creative executive behind games like the Medal of Honor and James Bond at Electronic Arts and later as the Executive Vice President of Core Games at THQ. Whether working with film, television, games, or even developing transmedia properties with theme parks and comic books, Bilson’s unique track record for creating compelling content across all mediums is one of the many reasons Dean Elizabeth M. Daley believes he is the ideal candidate to lead the next generation of games students at the School of Cinematic Arts.